Which game have you spent the most time playing? It might be our job to play games, but sometimes the time we spend in them goes above and beyond the call of nerdy duty. Sometimes a passion becomes an obsession, a vocation, or even a reason for concern from friends and family. 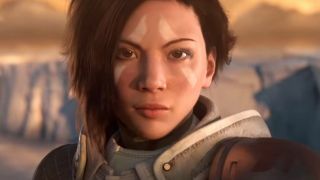 From Destiny to The Sims and of course World of Warcraft, here are the games that got team GamesRadar+ hooked. I've put well over 500 hours into Guild Wars, and if you count Guild Wars 2 as well, I'm probably close to 1,000+ hours. Crazy, I know, but hear me out. This game was not only introduced to me by my father, it also introduced me to my now best friend. One day my father came home from work and said he got a new game for his PC. It turns out it was Guild Wars, and whenever he wasn't on it, I'd sneak on and create a character and chip at it whenever he wasn't using the PC. After many weeks, I fell in love with the game and decided to save for a PC to play it when I wanted, and this was around the exact time I started secondary school. It was a scary moment: I knew nobody in my class for a long time and one day I ran into conversation about Guild Wars with this kid in my class. After further discussion I found out he was really good at the game and loved it as much as I did, and from that day on we played almost every day, talked on TeamSpeak, created a popular clan with hundreds of members, and started to do raids in the Underworld (a very challenging place which dropped super rare loot and which only the professional players would dare enter). This is kind of cheating because I no longer actively play Runescape, but the fact is I've yet to sink more hours into a single game. When I finally quit Runescape after five years, I had 198 days (4,752 hours) logged on my main account alone. And I still love the game, just from a distance. The version of Runescape I played in middle and high school is now Old School Runescape, and while it's still a good sandbox MMO, I just don't have the time or drive to grind like I did back in the day. But I do enjoy reading and learning about the updates it receives. I've even been known to hop into an Old School Runescape Twitch stream every now and then. Which game have you clocked up serious time in? Is Tim's Destiny playtime actually a problem we should be addressing? Let us know on Twitter.